Twilight in historical city. 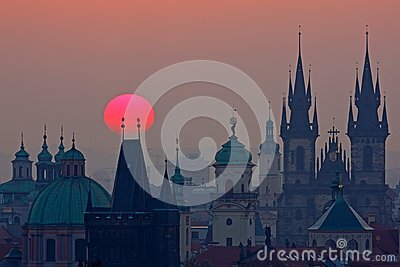 Magical picture of tower with orange sun in Prague, Czech Republic, Europe. Beautiful detailed sunrise. Long exposure of a stunning rocky beach in Odessa at dusk.